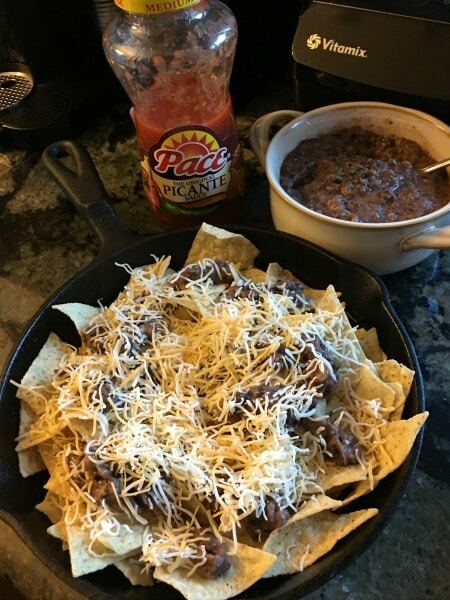 If you love homemade black bean dip and easy skillet nachos, these two recipes are quick and easy appetizers to take with you to those game day parties. We are so excited because it means lots of football parties to celebrate our teams. Do you like to get together with friends to watch football at home, or do you prefer to go to the games live? Football also means lots of appetizers, and you know I am crazy for appetizers! Give me lots of appetizers over a large plate of one thing, and I will pick the variety every time. 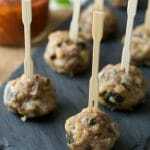 You will love how easy these two game day appetizers are to make. My famous bean dip has only 2 ingredients. You can make it in under 5 minutes, so it is a delicious and healthy snack anytime. 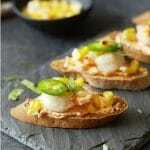 The star of both recipes is Pace® Picante Sauce. I love the medium heat, but it also comes in mild and hot. Just choose your heat :-). This homemade black bean dip is so versatile. Dip chips into it, or use it in this quick and easy nacho recipe! This bean dip is ready in under 5 minutes! I make this in my Vitamix because I just dump the ingredients in, turn up the power, and bam, done. Pace® Picante Sauce and Salsas are full of Southwest flavor that your whole family will love. The products provide a a kick of flavor that never disappoints for both snacking and meals. I originally discovered Pace® when I lived in Austin. Living in Texas, you didn’t serve chips with anything but Pace®. 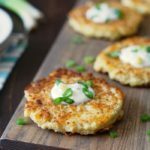 Their picante sauce is also perfect on everything from egg dishes at breakfast, to pouring it on pot roast in your slow cooker. This incredible bean dip has just two ingredients. 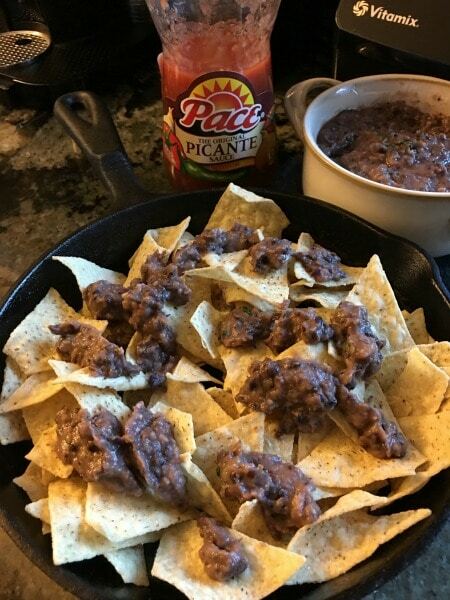 Black beans and Pace® Picante Sauce. Don’t let the simplicity fool you, this bean dip is tasty enough to be served in any restaurant! We topped our skillet nachos with fresh avocado, my famous bean dip, cheese, scallions, and tons of salsa. This dip is so easy to make. 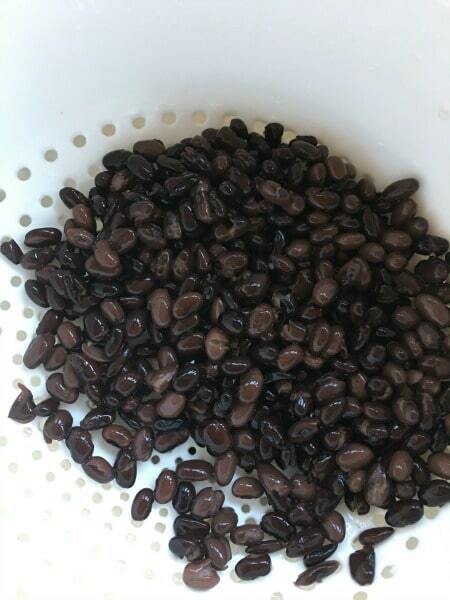 Take canned black beans and rinse them. 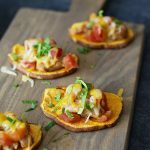 This easy Vitamix appetizer recipe is so easy! Just blend until the bean chunks are chopped and blended into the picante sauce. Put chips into a cast iron skillet. Add shredded cheese and broil until the cheese is melted. 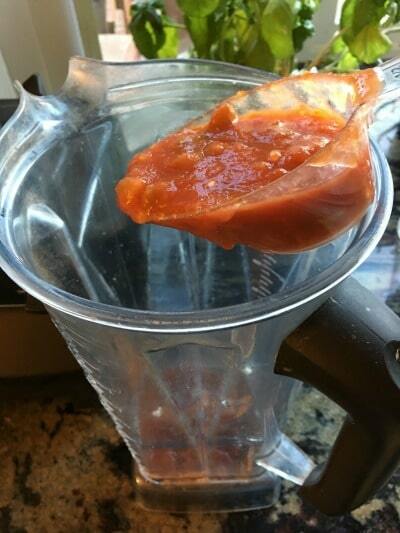 Add picante sauce and black beans to a blender or food processor. Mix until it is pureed. That is all you need for the yummy bean dip. 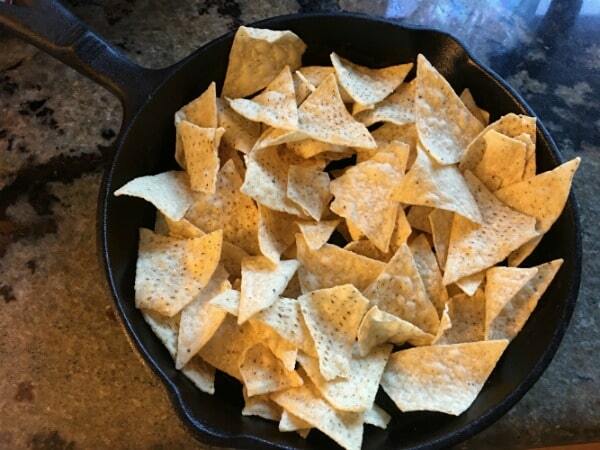 For the nachos, add corn tortilla chips to a cast iron skillet. Top with bean dip, cheese, and your favorite nacho fixings. Broil until the cheese melts. Add sour cream and Pace® picante sauce. 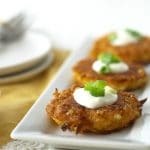 More Yummy Appetizer Recipe to Try! I’m glad I found this recipe just in time for a lazy weekend watching football! Love this time of year when I have an excuse to sit back, be lazy with snacks in hand! 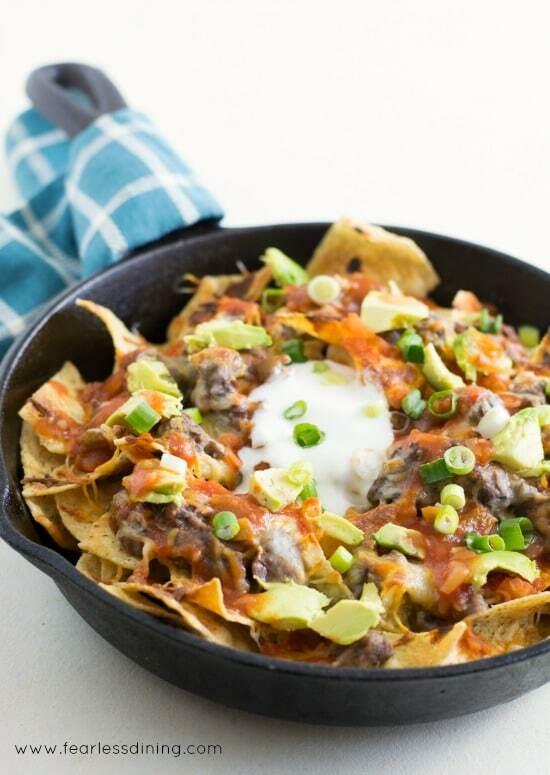 Nachos – YUM!!! These look delicious! Now this sounds like my kind of football food! 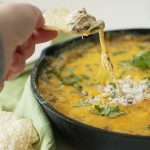 Dips are a requirement on game days, and so are nachos…so I love how you combined these together. Definitely need this to show up on Saturday! Thanks for sharing! I honestly think that I could live on bean dip and nachos alone, quite happily actually!! This is my go to dip when friends drop by. It is ready in just minutes. 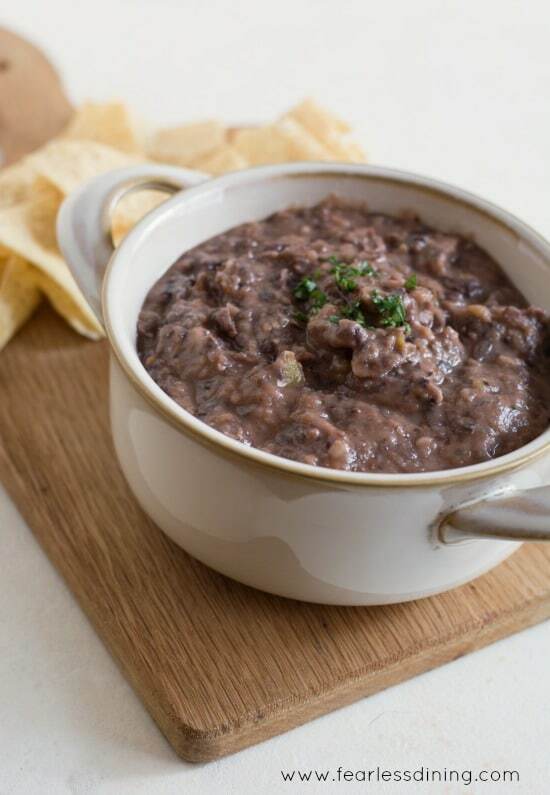 Great idea to use black beans for the dip – yum! 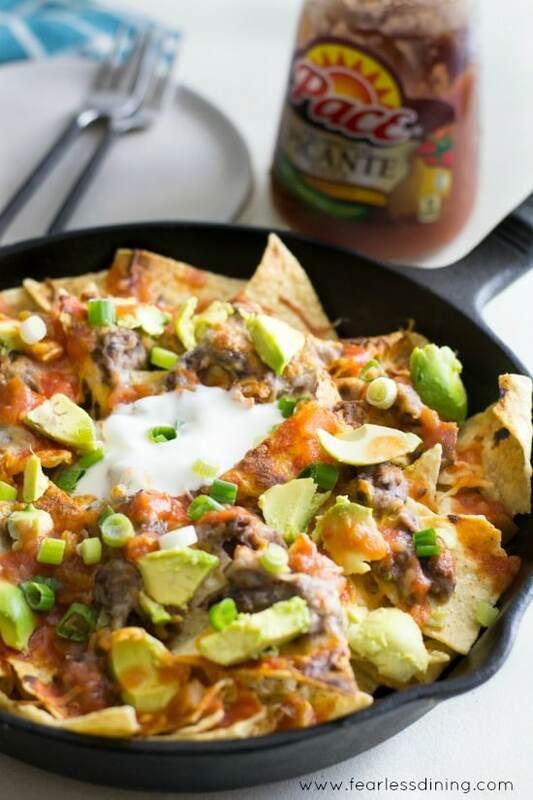 I love how easy these Game Day Black Bean Dip and Skillet Nachos are! Perfect for a gamed watch party! My Green Bay Packer crew is going to love this, next game. Thanks! I’m all over this! This reminds me of a black bean dip at a local Austin restaurant called Gloria’s. It’s so tasty I could make a meal out of it. I love Gloria’s. I am in Austin until Sunday so I need to remember where Gloria’s is. It has been years since I have been here last.